Established over 20 years ago, Jacksons Leisure is still very much a family run team today. Owner Robert Jackson runs the business with the help of his wife Freda and niece Sam, whilst his son Paul helps him with the installation side of the operation. Robert has over 50 years of experience in the sales, repair and maintenance of television, satellite and consumers electronics. 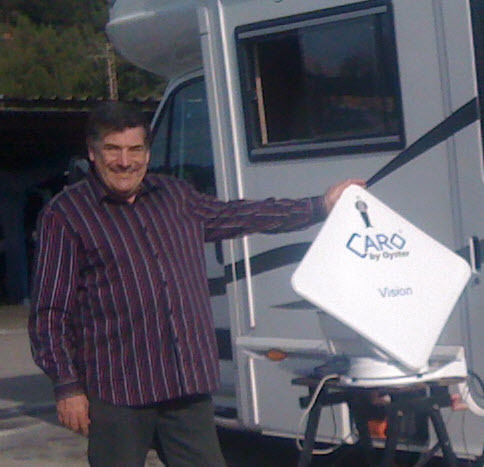 Paul too has many years experience in motorhome electronics and satellite system installations. Paul is without doubt the best fitter in the UK and loved by our customers. Based just outside Wakefield in West Yorkshire we supply and install systems nationwide. 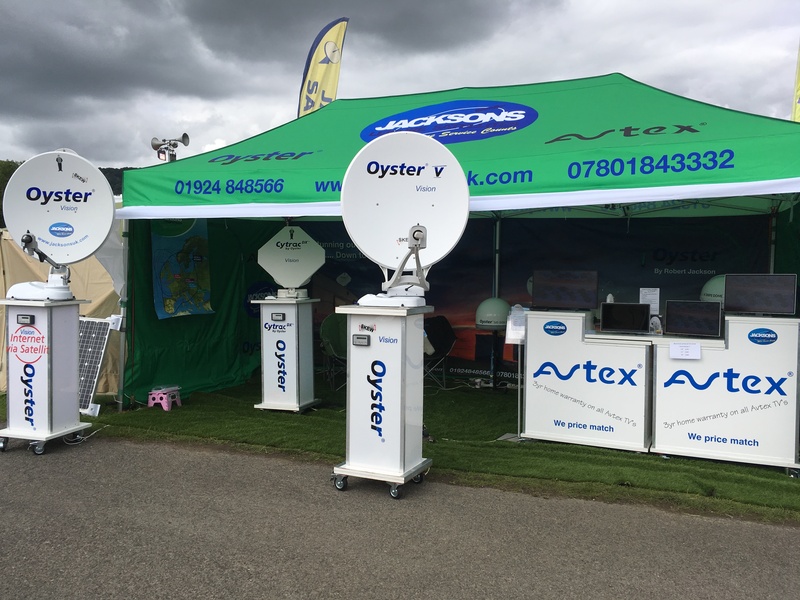 We attend all the major shows in the UK, so look out for us and drop in for a chat in our all new stand !! Robert and Freda also travel extensively around Europe out of season in our own motorhome (photo below) and test all of our systems on the road so we know with certainty what each system can do and where it can do it, so that we can give you our customers honest and reliable advice. Contact us on our latest road test results data base, the most comprehensive ever by any independent dealer, you may well be surprised by the results. Whilst some dealers rely on manufacturers data sheets and in some cases tell you what you want to hear about their systems, we literally put our products to the test and can you tell you accurately what you can expect to watch in different parts of Europe and how to watch it from our database of channels road tested by us. Both Robert and Freda understand what your motorhome means to you as motorhome enthusiasts themselves for over 20 years. Robert Jackson Satellites realise how important it is to have the right person fit your new satellite system and that’s why we fit all the systems we sell ourselves. We do not sub-contract the installations to a “a fitter near you”, because we know they won't fit to our exceptionally high standards. But it's not just our opinion, check out the testimonials we've collected from a popular motorhome forum. So why should you deal with Jacksons Leisure Satellites? Well there are many online dealers out there all wanting your business and many will tell you what they need to in order to get it. Many online dealers offer to fit nationwide and rely on sub contract networks to do the work. The drawback with this approach is who is responsible for warranty work? The fitter who may not have fitted it correctly or the selling dealer who is legally responsible, and who may be hundreds of miles away? Do you want to be caught in the middle of their disputes? That is why we fit ourselves all the systems we sell, as we believe if any issues arise afterwards, warranty or not, the customer knows there is only one call to us to get the matter resolved and no going round the houses and being passed sideways. 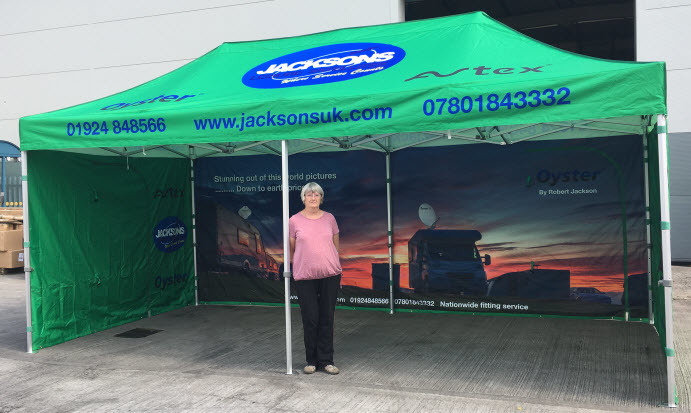 When you buy from Jacksons you deal with Jacksons only and can rely on our superior fitting and after sales service to remedy any problems fast and efficiently with the minimum of fuss (not that we get many issues). Many other dealers just don't have the knowledge that Robert has and therefore simply can't give you the technical advice you need when your system has an issue, whereas Robert will do everything he can to get you up and running again quickly, often day or night! Many van dealers will try to sell you a new system to go with your new van (and charge you substantially more than we would), but you'll certainly not get the quality advice and best system for your needs as a result when dealing with a van salesman, not to mention the best fitting. Some of the worst fittings we have been asked to sort out are from well known motorhome dealers, so beware! We are well known in the business, and can often go to dealers, with their permission, and fit the system on their site for you, so it is working ready for when you collect your van. If not, we can come to you and fit, we guarantee it will look as if it was factory fitted when the van was built, as do all our fittings (and it will probably cost you quite a bit less as well). ​If you want to transfer your system to a new van in the future your van won't be devalued by scars and holes in the woodwork and roof, in fact you wont be able to see any sign of a system ever being there. It doesn't end there though, you may require some advice or help further down the line, with us you will be able to talk directly to Robert or Paul who get most cries for help resolved over the phone. So when you choose Jacksons you can be assured of the best advice that comes from a real in depth knowledge, the best products, unrivalled fitting skills and best backup and aftercare in the industry. After we have fitted your system to very high standard, so that you wont even know you have a satellite fitted, all wires hidden and no holes in the roof on show, we give a 5 year warranty including water ingress on our fittings for your total peace of mind. Quality of Service and Quality of After Sales is key to Jacksons Satellites success and recognition within the industry. Not only this but we understand the product we sell at the operational and technical level, so if ever your in a fix you can be sure we are only a phone call (to a real person) away. Not many can make the promises we can at the competitive prices we charge.